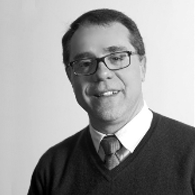 Massimo Cealti has over 20 years of experience in the market research and is currently Vice President of Consumer and Market Insights for the Scent and Care Unit at Symrise. He oversees the global market research function, helping clients grow their business and bringing the consumer voice to fragrance development. He previously worked for the Coca-Cola Company, Nestlé, McDonald’s and leading research agencies (IPSOS, Research International). He holds an M.S. in Business Management from Luigi Bocconi University in Milan.